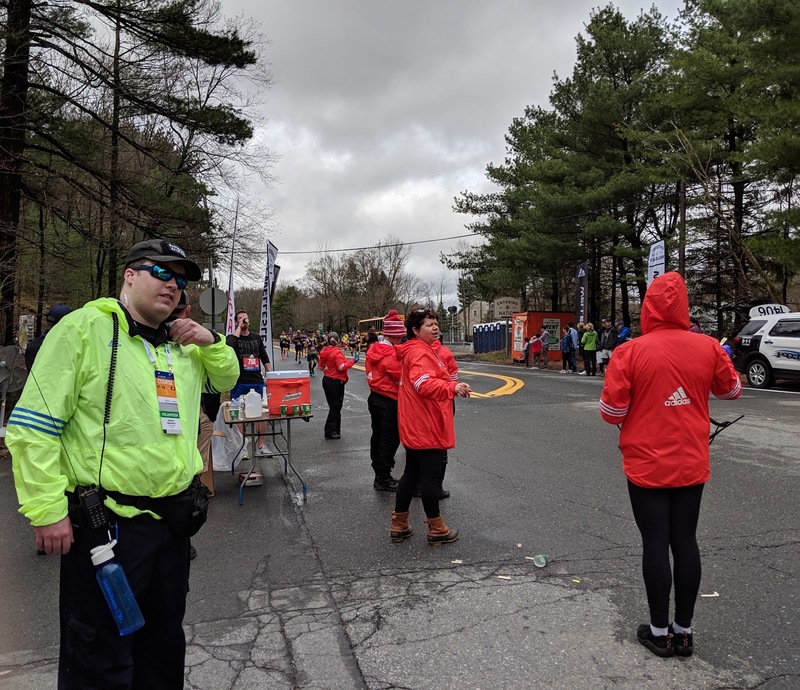 There are also amateur radio operators assigned to other roles such as shadowing VIP race officials to provide information and there is even a ham or two assigned to the MEMA Bunker in Framingham. Most of this came about due to the after effects of the 2013 Boston Marathon bombings. The BAA setup a Communications Committee which created standard operating procedures for hams to make everything more organized. The sheer amount of volunteers makes this one of the biggest, if not the biggest ham radio public service event. One of my fellow hams from reddit who contacted me for help said he was amazed the amount of ham radio volunteers alone, not to mention the medical and hydration volunteers needed. 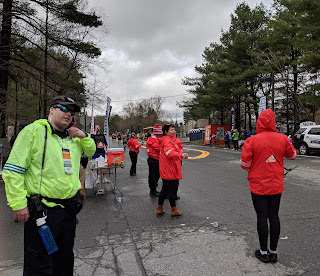 Last year, was my first year and I was assigned to a hydration station in Wellesley's College Sqaure, where I promptly got soaked in a monsoon of freezing rain, but at least I had convenient parking to park in the parking lot of the library right there and duck into my car from time to time. This year I wasn't so lucky parking wise, as I was on a side street due to the station being located on the Natick/Wellesley line. However, it was a medical station, which means a bit more shelter should the rain come pouring down. It did, but only before the race began, a thunderstorm came plowing through leading to us being held at our volunteer meeting location of Babson College's auditorium. The same went for other volunteers down the course who were held at Newton North High School. Luckily, the storm passed and the all clear was given to proceed out. The race began, and other than having some radio trouble with my partner not being able to hit the repeater, it was mostly uneventful for the first couple of hours as the wheelchair runners came through followed by the elite men and women and eventually the first waves of regular runners. However, towards the end of the race, we started to see runners coming in with various ailments, some minor but some major. I started getting reports from the hydration stations from the east and west of me that we had runners in distress who couldn't make it the medical station and required pick up. I relayed this information to medical station lead who had a Gator cart dispatched to each location to pick up the runners. 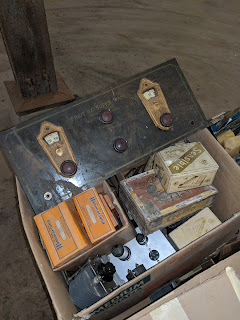 Thankfully, that was the most excitement I had as one of the other fallback tasks an amateur radio operator has at a medical station is to make EMS requests should all other methods of requesting help fail. 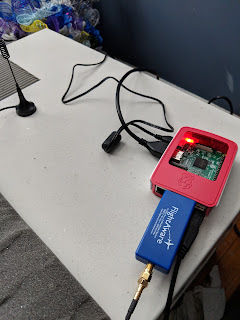 My only major gripe is the location of the station as their is a minor radio dead zone where I am because while I could receive net control, it was very hard to hear the hydration stations next to me with many garbled transmissions until they could into a clearer area. All in all, a great time, a great Marathon and I hope to return next year and do it all over again. But maybe sit down a bit more because my legs and body were gassed by the time I got home... and I didn't even run! But I did sleep like a baby. Till next year, this W1PAC.